mixed choir, Difficulty : 4, a cappella, 3-5 min. men's choir, Difficulty : 4, a cappella, 3-5 min. medium voice, Difficulty : 4, 10+ min. mixed choir, Difficulty : 4, a cappella, less than 3 min. 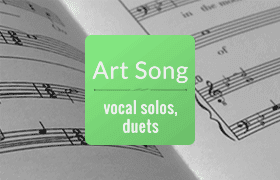 mixed choir, Difficulty : 4, piano, 3-5 min., less than 3 min. mixed choir, Difficulty : 4, piano, 3-5 min. 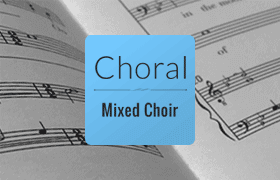 mixed choir, Difficulty : 4, piano, 5-10 min. treble choir, Difficulty : 4, 1-2 instruments, 3-5 min. high voice, medium voice, Difficulty : 2, piano, less than 3 min. high voice, low voice, medium voice, Difficulty : 2, piano, less than 3 min.